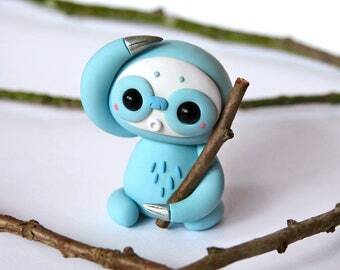 SLOTH LittleLazies | 1 Miniature Monster Polymer Clay Sculpture | Sloth, Totem, Collectibles | Handmade | Thank You! SLOTH 2-Pack Bundle LittleLazies | 2 Miniature Monster Polymer Clay Sculptures | Sloth, Totem, Collectibles | Handmade | Thank You! 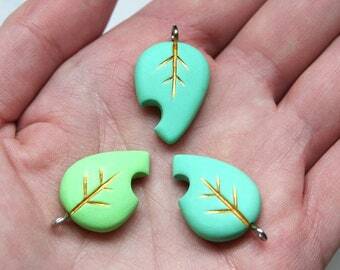 Little Bitten Leaf Charm ~ Enters you into Lazy Lotto | Little Lazies | 1 Miniature Polymer Clay Charm | Handmade | Thank You! Announcement Handmade monsters - the little and lazy kind! Handmade monsters - the little and lazy kind! Random THREE PACK of LittleLazies | 3 Miniature Monsters | Polymer Clay Sculptures | Handmade | Thank You! 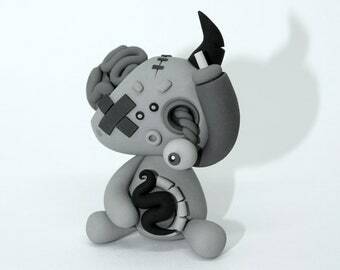 Random Black & White ZOMBIE LittleLazies | 1 Miniature Monster Polymer Clay Sculpture | Night of the Living Dead | Handmade | Thank You! Random Ice-Cream Cone LittleLazies | 1 Miniature Monster Polymer Clay Sculpture | Summer, Icecream Inspired | Handmade | Thank You! 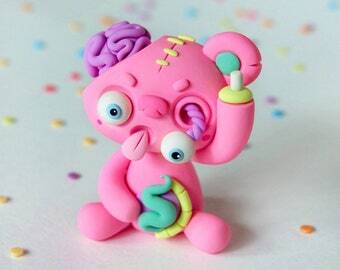 Random ZOMBIE LittleLazies | 1 Miniature Monster Polymer Clay Sculpture | Handmade | Thank You! 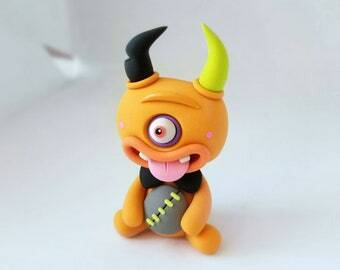 Random BRUTAL LittleLazies | 1 Miniature Monster Polymer Clay Sculpture | Handmade | Thank You! 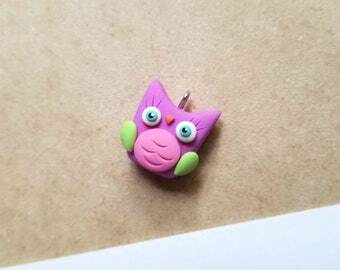 Random CYKITTY LittleLazies | 1 Miniature Monster Polymer Clay Sculpture | Handmade | Thank You! Random PIRATE LittleLazies | 1 Miniature Monster Polymer Clay Sculpture | Handmade | Thank You! 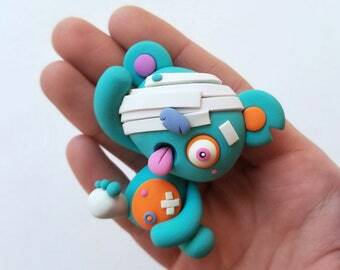 Random Zom-Bear LittleLazies | 1 Miniature Monster Polymer Clay Sculpture | Zombie, Bear Inspired | Handmade | Thank You! 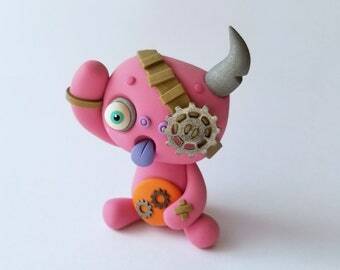 Random STEAMPUNK LittleLazies | 1 Miniature Monster Polymer Clay Sculpture | Handmade | Thank You! 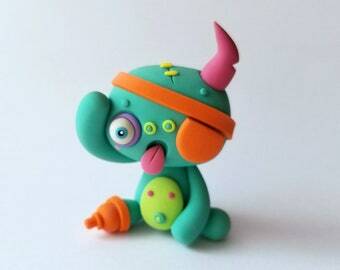 Random CYCLOPS LittleLazies | 1 Miniature Monster Polymer Clay Sculpture | Handmade | Thank You! Random OUCHIE LittleLazies | 1 Miniature Monster Polymer Clay Sculpture | Handmade | Thank You! 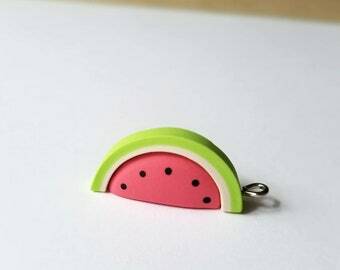 Lazymelon Charm | Little Lazies | 1 Miniature Polymer Clay Charm, Watermelon, Fruit, Cute | Handmade | Thank You! 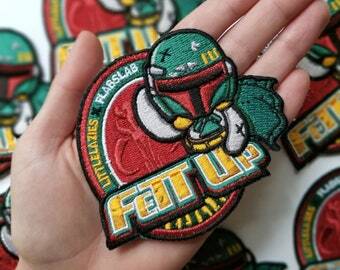 Exclusive FETTUP Patch - Little Lazies x FLABSLAB | Iron-On 3x3 " | Patch Design by Richard Gonzalez, Produced by FLABSLAB | Thank You! 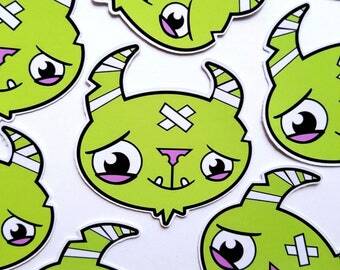 Little Lazies Logo Sticker | Die Cut | 2x2 Inches | Designed by Little Lazies, Printed by Wisparia Creative | Thank You! Little Lazies Logo Sticker 2-Pack | Die Cut | 2x2 Inches | Designed by Little Lazies, Printed by Wisparia Creative | Thank You! Limited Edition "Spring Has Sprung" Dragon #4/12 | 1 Handmade Polymer Clay Figurine | Limit ONE per Customer | Fantasy Art Toy | Thank You! Little Lazies are weird (but cute) creatures made by Leah Lester, a monster maker living in Seattle, WA. How did it all start? Leah was a full time cake decorator who very much enjoyed sculpting out of sugar paste for the cakes she created. One sunny day in June 2010 she said to herself, "I want to make a monster for the top of this cake!" So she did just that... Soon after, her friends started encouraging her to create these sugar paste characters into clay; something that they could keep for a lifetime. So with that, Leah bought some clay and after a lot of practice, experimenting, and imagination her monsters evolved into what they are today - the Little Lazies! Leah could not be any happier... especially with all the support and love she receives daily from her friends and especially from all the Little Lazies fans out there.